The thirteenth volume of Offshoots, the biennial literary anthology of the Geneva Writers’ Group, was launched at Webster University on Saturday 19 September. With 54 contributors from some 20 countries on six continents, this volume celebrates the rich diversity of human experience. The new volume is enriched with stunning full-page black-and-white photographs by Valerie Harrison. The varied stories and poems offer a captivating voyage around the world. 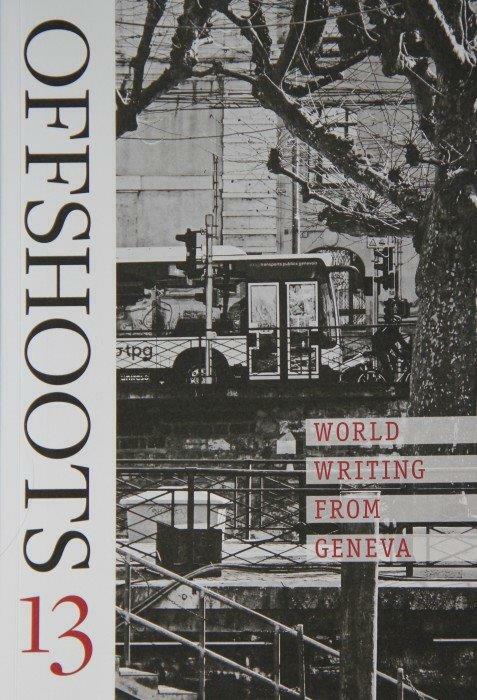 There will be further readings from Offshoots 13 at Payot Rive-Gauche (October 15); BooksBooksBooks, Lausanne (November 5) and at the Press Club after Saturday’s Poetry workshop (November 21). Copies will be on sale at all upcoming GWG workshops. The editorial team commend all who submitted. A sincere thank you for sharing your work!